Think about redesigning your promotional strategy. For most organizations, the central work is different than the work of a marketer. It’s not easy to stay on track of day-to-day work while also building up the pipeline of leads and proposals. 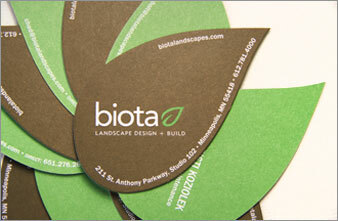 biota is a landscape design and build firm; they're not full-time marketers. Yet they effectively market even during their busiest months. Part of their success includes the marketing they use to promote the company. Today they are hosting an open house as one part of a promotional strategy that includes trade shows, yard signs and studio tours. The following are four tips for effectively marketing your business—while also running your business. Many organizations don't have a true face-to-face marketing plan. Sure, they may have a face-to-face selling plan, but not a face-to-face marketing plan. Take away the transactional pressures, and you can learn a great deal about your prospective customer: what they like and want and how to best present your value to them. Take a moment and think about the last time your key marketing leaders have spent time with prospective customers in an informal setting (or even a more formal one such as a focus group or trade show). What people tell you in these settings should inform your marketing plans and advertising strategies. They ultimately should be woven into your sales pitch and process. biota has found ways to express what they do in a variety of ways. Each opens the door to marketing conversations. 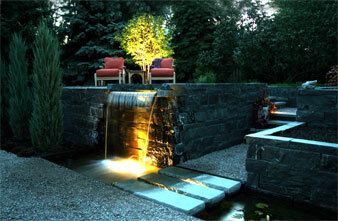 They have done great community service while also learning more about people’s interests in landscape design. The biota Gives Back program is a company-wide participation effort that educates and serves the local community. Projects include helping construct and maintain an award-winning community garden at an elementary school in North Minneapolis. 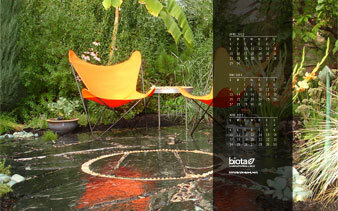 biota also jumps into the more traditional marketing tactics such as trade shows. How have they made these successful? “We have narrowed our focus to just a couple key shows a year where we have received good results in previous years. 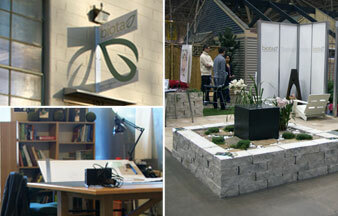 Our booth at the show is designed to set us apart from the many other booths at the show. 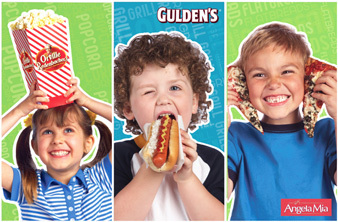 We don't want to blend in, but we also don't want to stand out by using gimmicks and hard-hitting sales ploys. Consumers are savvy and wary of the sales pitch at a show. For us, the show is about making connections and building relationships," Modrow said. Kudos to biota for not trying to appeal to everyone. It’s a great lesson for any brand champion: no organization can be everything to everyone. You may have a document that outlines attributes of your typical customer. But do you describe who your target isn't? Sometimes it is easier to define what attributes your target doesn't have—making it easier to define who they are. Start this document and use it as a fun team exercise. biota knows that the main reason they enjoy success is that they follow up (and they do great work!). As often as we hear the phrase “follow up, follow up, follow up,” it seems we still forget just how crucial this is to winning customers. This season biota used a unique method of developing leads from trade shows. They sent their new connections a quick email of thanks that arrived before the person even got back to their home. This email allowed for specific actions that alerted biota to the individual’s interest. Prospects could choose from scheduling a studio tour (high-interest prospect) to downloading a desktop wallpaper (lower interest). Now they not only had their own notes, they had crucial post-show feedback from prospective customers! This allowed biota to focus their follow-up. What is the takeaway? Think about your business. Are there hurdles that prospects have to overcome before working with you? Can you flip it from a hurdle into an opportunity to speed them forward in the process? Textile Center is a national center for fiber art located in Minneapolis. 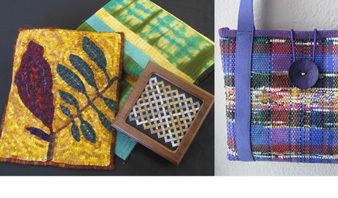 Its mission is to honor textile traditions and promote excellence and innovation in fiber art. Textile Center represents and supports fiber artists working in all forms of textile media including weaving, quilting, knitting, sewing, needlework, lace making, basketry and beading. A critical part of Textile Center's mission is to bring validation and visibility to this field of art. Textile arts arise from all cultures and Textile Center works to preserve traditional forms as well as to encourage experimentation and the development of new fiber art forms. Promotes fiber art as a living art form that is rooted in every culture. Supports the creative development of fiber artists. Sustains the textile art community. Fiber Frenzy gives you a chance to get your hands on one-of-a-kind pieces of artwork for bargain prices. This once-a-year event features handmade artwork by textile artists. Dying to learn more about dyes? (Sorry, we had to.) Yearning to get your hands on some yarn? Thinking sewing is so great? (OK, we’re done.) Textile Center offers classes for any age and skill level. Find out what to do and see from this bi-weekly email featuring exhibits, art, classes and more. Fri and Sat 10 a.m.-5 p.m.
Mon and Thu 9 a.m.-1 p.m. and 5-7 p.m.
Weds and Fri 9 a.m.-1 p.m. Through the window on Washington Avenue in Minneapolis you see it. Actually it’s on the window. Small sheets of wet paper, still showing their pulpy base, stuck on the window to dry. It just sticks there, sort of like spaghetti on a wall. Peer in the window, between the sheets of drying paper, and you’ll often see wide-eyed kids happily using their fingers to agitate the fibers that will become paper. That’s when you ask yourself—what is this place? It’s Minnesota Center for Book Arts (MCBA). This 25-year-old gem in the community focuses on the craft of book arts. MCBA, which is located in the Open Book Building, has quite the roster of activities. They host classes on a variety of book arts methods including paper making, letterpress, screen printing, book binding and more. They offer classes for adults, teens and children. They work closely with the top book artists in the world. And they work closely with schools, libraries and summer camps, offering some of the top youth programs in the country. So, it’s not surprising to see kids making paper or other projects. Or teens making accordion books. Or adults cranking the letterpress. Or artists marbling paper. You get the idea. 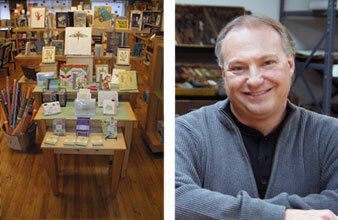 MCBA has a retail shop (a must-see) that is a favorite of readers, writers, artists and art lovers. They also have a gallery space that hosts world-class exhibits. Don’t know what book arts means? You probably know more than you think. Like all art, book art is a form of communication. The difference is that an artist’s book is a contained narrative. The container can be book covers, a box or even a room. The narrative can be words but doesn’t have to be. The other unique element of book art is that it usually requires interaction. For it to be appreciated—even fulfilled—you need to handle it, turn its pages. Recently the organization turned a page of its own. In October they announced the appointment of their new executive director, Jeff Rathermel, after a nationwide search. Jeff previously held the artistic director position at MCBA. MCBA has said that Jeff’s appointment as executive director is a sign that MCBA is refocusing its mission on the artist. While already a place that top book artists gather, the organization is striving to do more. One avenue of reaching this goal began about two years ago when MCBA formed the Book Arts Biennial, which hosts lectures and other programming. It also includes The MCBA Prize. MCBA developed this book arts competition with the realization that there was not an inclusive award out there, something that celebrates the all the elements of book arts. The MCBA Prize offers a “best in show” feel that would bring the top work to one location. “It was a lofty goal, but we shrugged off our Minnesota modesty and said, ‘We are a leader. If not us, then who?’” said Jeff. The recipient of the inaugural MCBA prize is Veronika Schäpers of Tokyo, Japan. Schäpers’ work has been shown all over the world and is part of the collection at MoMA. Finalists include Clifton Meandor, Jan Owen and Julie Chen. Their works are shown all over the world and range in price from $200 to $4,000. The next Book Art Biennial will be held July 30-31, 2011. 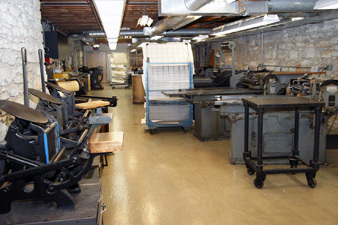 Visit Minnesota Center for Book Arts. Make paper. Or an accordion book. Or crank the letterpress. Or marble paper. You get the idea. What’s a simple way to check up on our online reputation? Word of mouth is rampant on the internet, particularly due to social media. This can be a great thing for your business, or it can hurt your business. It’s also a gauge to see how you’re doing. The best way to track your online reputation is to sign up for Google Alerts with your company name, tagline or other content (hint: you can even create an alert on a prospective client or competitor). It will send you updates via email when your search term pops up in the news, on websites, in blogs and beyond. It can even send you updates in real time. Have a company name that uses common words? Put it in quotation marks. Come across something negative? See if you can get in touch with the reviewer by sending them a message. Try to make it right; maybe they will revise or remove their negative comments. Do you have a question for Adsoka? Email it to info@adsoka.com. We will answer your question, and it could appear in the next issue of Hint! If cross-training is the best form of exercise, then the diversity of brands, strategies and tactics that are underfoot on a daily basis at CSM Corporation shows Aimee Cheek’s skills as well tested. Aimee is CSM’s Corporate Marketing Manager responsible for the corporation’s variety of needs. Working almost exclusively with an internal team, the work gets done and stays on track from both a timing and budget point of view. If you've visited downtown Minneapolis or the Milwaukee Road Depot for an event, or stayed at a nearby Marriott, Hilton or Carlson Hotel, you've likely benefited from the work of Aimee Cheek and her team. Conversely, you may not have been to a warehouse, office or one of the hundreds of other commercial properties that CSM owns. CSM owns and manages 4,000 residential units, 8,000,000 square feet of industrial space, 2,000,000 retail square feet, a million square feet of office space, and 37 hotel properties in 16 states. Aimee's marketing and communication wisdom has reached these points and more than a handful of other points (waterpark, pub, retail shops). Crucial to their efforts are the often-overlooked stack of tasks of internal marketing. Working from the corporate headquarters is nice, but with properties all across the country, from Seattle to Denver, Phoenix to Boston, and Florida to Iowa, in addition to dozens a short drive away, hearing directly from managers on-site and making personal visits adds to the complexity of getting the job done. More than 2,000 employees call CSM their employer. Aimee said, "The past cycle has been a challenge for us. Budgets are tighter; keeping costs down is the necessary and correct goal. 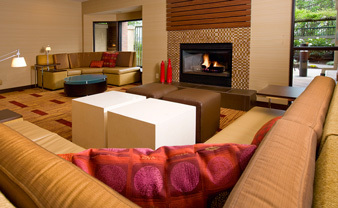 We looked hard at costs, delayed some expenses and just had to say no to a few tasks." She continued, "This really led us to become creative with the resources we were given. Working with social media and building strong relationships played a big role." A graphic designer, copywriter, Web developer and production artist work with Aimee. This internal crew has to serve all that clamor for help. At times Aimee’s crew needs to stay within the brand guidelines provided; at other times they need to establish new ones. Put simply, they need to be brand champions and smart marketers in order to accomplish great work each time. This year a transition from feature-full information-only websites to sites that sell, work with smart phones and connect to active online marketing (email, twitter, networking sites, etc.) is a top priority. They also need to function in support of internal business processes. Like all properties, commercial and hotel included, there is more inventory than in the past and buyers expect more access to images, specifications (Does it have a dock? Underground parking?) and responsiveness to their inquiries. So, Aimee and her team just have to continue to be at their best, providing the top-notch service as marketers. What keeps Aimee ticking? It would be easy to become insulated inside a fast-paced environment such as supporting the marketing needs of the CSM network. Aimee fights this by staying active in advanced training, being an avid reader of online journals and blogs and building a network of individuals and groups to call on for ideas. Her network groups include MNAMA, MIMA, HSMIA, Twin Cities Thursday Happy Hour, Social Media Breakfast and a vast number of Twitter connections. How do you stay up-to-date with marketing trends? Make sure you're looking online and to print publications. Twitter can alert you which is handy. Sites we like include MediaPost, Kuler (for color trends), Ad Age, and Mashable. Print publications like BtoB, Mediaweek and favorite consumer titles also provide insights on current trends. Still looking for more? It’s always a good idea to dive into a consumer research report, available from academic sources. Imagine yourself standing in front of an expansive magazine rack. Where are your eyes drawn? From a very young age, when Alli Jagoda did this very exercise, her attention was captured by faces. She understood the power in images of people to convey a message. Fast forward several years. Alli is in college studying fine art. She eventually sets down the paint brush in favor of the camera; it is better able to keep pace with her ideas. Fast forward again. 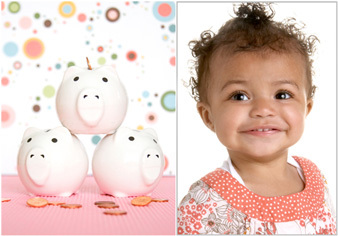 Now Alli Jagoda Photography is a thriving business of nearly 10 years with high profile clients like Target, Regis, Best Buy, the University of Minnesota and the Mall of America. She’s known for photographing people. Her work fits in the marketing scheme to get results and reach branding objectives. A typical photo shoot for Alli Jagoda Photography includes creative directors, makeup artists, hairstylists, wardrobe, set designers and a host of assistants. They come together to shoot sometimes hundreds of images to get that one signature shot. So it’s no wonder collaboration is a big component of what makes Alli Jagoda Photography successful. Alli shoots fashion photography as well as photographing children and babies. Working with different clients leads to a number of different working styles. Alli easily adapts. Fortunately Alli is in her “dream studio,” which is perfect for large productions like these. It includes a private loading dock, full kitchen and 4,000 square foot space with tons of natural light. 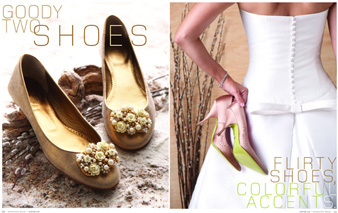 Alli Jagoda Photography has a host of happy clients. This story particularly caught our attention! Photography and Your Brand: Have You Considered It Lately? With unique images like these, you’ll catch your audience’s attention and never have to worry about the same image being used by your competitor. Sometimes shooting a model doesn’t always make sense. For example, Alli recently did a photo shoot for the University of Minnesota using real students. And she’s shot many organizational leaders and employees (see the Adsoka about page!). Alli frequently works with models and non-models alike to produce excellent results. She is approachable and friendly, which puts her subjects immediately at ease. The human face in photography is indeed powerful; it’s no wonder it is a common and powerful way to convey a message, particularly in advertising. Just ask Alli. How to we optimize our photography via social media? Using social media regularly, particularly the most popular and well-known Facebook and Twitter, is a good idea. Ensuring photography is a component of that is an even better idea. Part of what makes Facebook and Twitter so popular are their ability to give real-time updates. Don’t limit these updates to just words—add photography too! True Talent Group has proven that it is always valuable to have a talent expert by your side—regardless of economic conditions. During the recession, when corporate or agency clients were inundated with resumes for a position to fill, Executive Recruiter Stacey Stratton already had a set of qualified candidates in mind for the job. So even though the hiring manager couldn’t spend much time screening, he or she could hire confidently. Job seekers could rely on True Talent Group to tune them in to opportunities not posted publicly. Both parties could trust True Talent Group to create a successful match. True Talent Group specializes in permanent placement, contract and temp-to-hire of mid- to executive-level creative professionals in the advertising, design and interactive field. Common job titles are designer, copywriter and account executive. True Talent Group works with corporations, advertising agencies, design firms, marketing groups, printers and more—many of which have been hit hard with the recession. Stratton understands that being connected is paramount to the company’s success. That’s why every week a set amount of time is dedicated for employees to network and check in with people at different points of the industry. It’s been a successful approach for True Talent Group. Ninety percent of her career placements are still with their companies today. Sales in 2008 exceeded expectations and continued to grow in 2009. That’s during the height of the economic slump. “It’s great to be able to connect the dots—to know someone with a need and someone who can fill it. It’s what we do. We pride ourselves on being highly connected,” Stratton said. Even during economic booms, True Talent Group is an asset. They help find the right talent quickly—when deadlines are tight and the right person needs to deliver. It’s about relationships; it’s about understanding key components in how employers and employees best match. To advance their branding, True Talent Group partners with Adsoka. True Talent Group is Women’s Business Enterprise-certified as a woman-owned business; WBE is one of the most widely recognized certifications in the nation by Women’s Business Enterprise National Council. To be certified, True Talent Group proved it is a woman-owned and controlled company. As the economy continues to turn around, companies will begin hiring in a big way. Rebuilding teams and preparing for success will be on everyone’s minds. Won’t it be nice to have True Talent Group on your side? Get to know True Talent Group. Visit www.TrueTalentGroup.com. While you’re there, be sure to sign up for the On the Job newsletter. What are ways I can get prospective customers to engage with our brand, even if right now they’re not ready to purchase? As you know, prospective customers are often not ready to buy today, but may be ready tomorrow. The message should work to connect their need with your offering so they remember you when they ARE ready. One way to do this is to provide something that is useful or interesting today. For example, Adsoka helped True Talent Group produce the True Talent Group 2010 Talent Forecast. This white paper is geared to hiring managers who will be hiring in the future, but not necessarily right now. The Forecast is a gift to them. It shows True Talent Group as a thought-leader and a capable vendor for when the time is right. The Forecast was highlighted in the last On the Job newsletter, where hiring managers can request it. It’s a smart way to connect with a future customer!